Famously tagged as the “kitchen’s diamond”, truffles are one of the most sought-after weapons of best chefs. These are widely popular in Spanish, Middle Eastern, Italian, Greek, Georgia and French cuisine added to global haute cuisine. A member of fungi family, truffles usually command plush price tags given their unpredictable growth pattern. According to experts, despite several attempts to farm this particular fungus, truffle growth could hardly be predicted. White truffles are more expensive and rarer than the black counterparts. Italy grows the maximum volume of white truffle and Croatia is a close second. Here is a list of the most expensive truffles in the world. 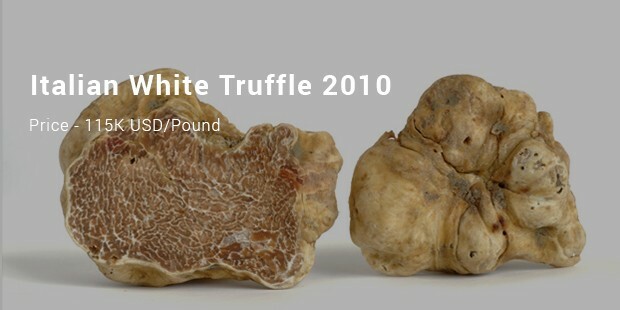 The most expensive truffles till date were auctioned at the 3rd edition of International Auction Of The Italian White Truffle (2010) where the highest bidding price was 115k/pound. 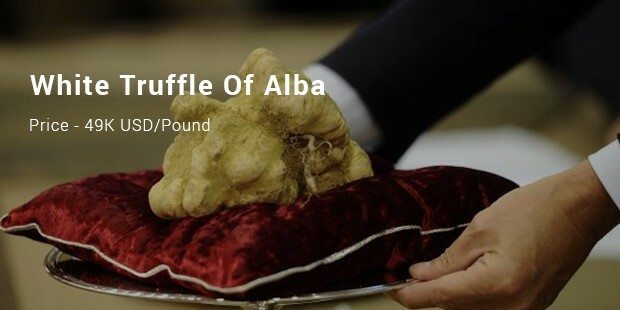 The champion bidder was Hong Kong billionaire and casino owner Stanley Ho who took 2 exceptional white truffle pieces weighing 2.86 pounds (collectively) at 330k USD. 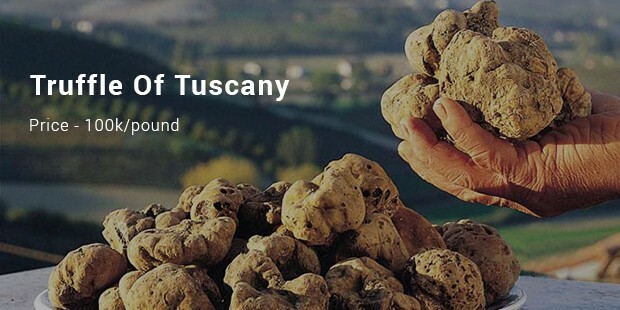 The second most expensive truffle of the world was also won by Stanley Ho in the year 2007 at 5th season of International Auction Of The Truffle Of Tuscany. He purchased a 3.3 pounds white truffle paying 330k that made the fungi worth around 100k/pound. 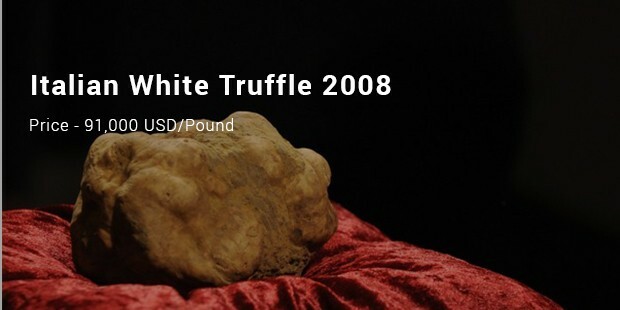 The 3rd most expensive truffle of the world was also won by none other than Stanley Ho who bought an exclusive truffle weighing 2.2 pounds at 200,000 USD- at the first edition of International Auction Of The Italian White Truffle. It made the truffle worth around 91,000 USD per pound. Truffles are no doubt expensive but once you have it on your plate you cannot think of any suitable replacement. No wonder, some of the best cuisines of the world are so fond of these mushrooms. The best part is that the money earned at truffle auctions go for charities.